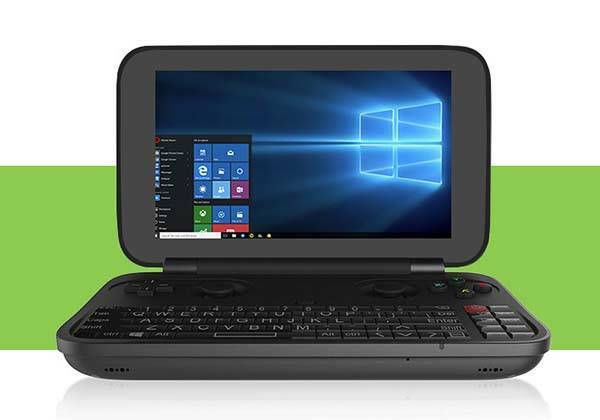 We can use a tablet to deal with some documents on the go, but Gpd Win handheld laptop may be more suitable for you if you put a Windows 10 platform in your pocket. 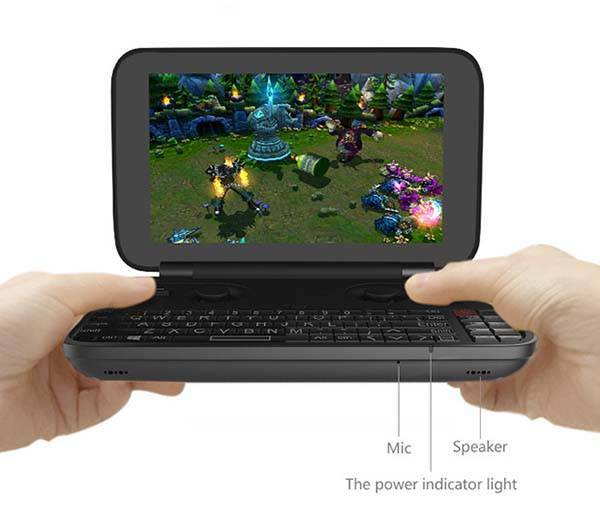 The GPD WIN is an innovative and practical handheld laptop and gaming console that measures 15.5 x 9.7 x 2.2cm. 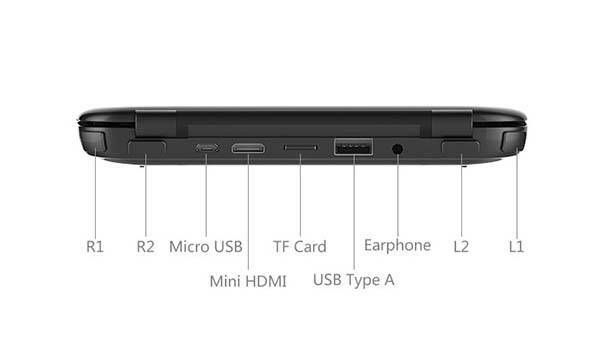 As we can see from the images, the handheld laptop shows off an ultra portable design that allows you to easily put it in your front pocket, and its matte finish and smooth edges provide a comfortable and firm grip when you hold it for work or entertainment. The handheld laptop runs Windows 10 OS, and it’s powered by Intel Atom X5 Z8500 processor and Intel HD Graphics and comes with 4GB RAM, 64GB internal storage with a built-in TF card slot supporting up to 128GB, and 5.5″ 267ppi multitouch display with 1280 x 720 pixels resolution and Corning Gorilla Glass 3. Using a full function PC keyboard with function keys and mouse functions, the GPD WIN brings you more comfortable work experience on the move. 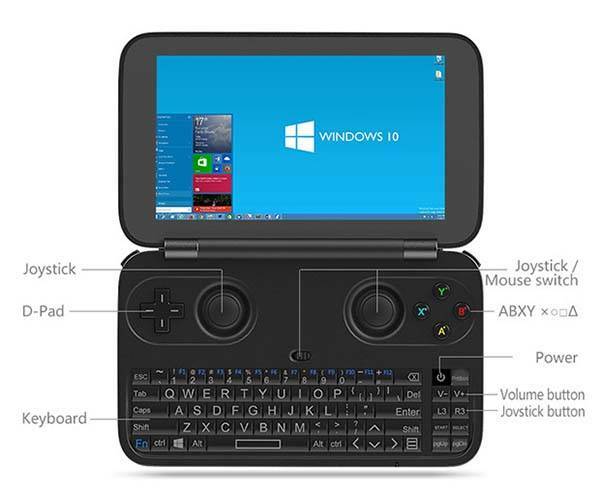 Furthermore, GPD WIN also features an integrated game controller with a D-pad, dual analog sticks and four buttons, so you can also use it to enjoy various games from Steam or other game platforms. Moreover, built-in Bluetooth 4.0 allows it to stream your favorite music, and other features also include WiFi, stereo speaker, HDMI output, USB 3.0 port and 6000mAh rechargeable battery offering 6-8 hours of battery life. The GPD WIN has been available for preorder on Indiegogo. You can pledge $299 to preorder the handheld laptop. It will be shipped in October this year.